Step outside the cookie cutter ballroom and into a space that allows you the freedom to get creative. BRICK’s expansive interior exudes charm, texture, originality and character. It’s large, open and raw, yet at the same time, contemporary, clean and cozy. Vaulted ceilings give you room to breathe. 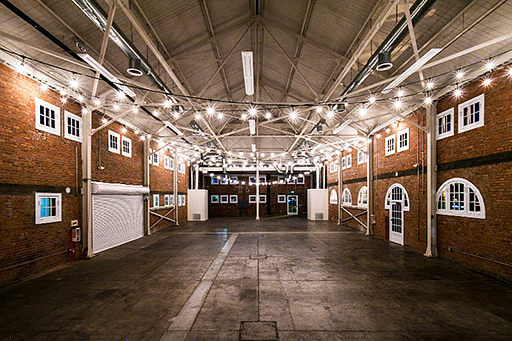 The original brick walls give you a natural but urban feel that’s unique to any event space. And, with over 100 windows, there is abundant natural light to create an incredible ambiance. Celebrate long into the night under the soft glow of market lights with 24 hour rental periods and dine on the delectable food from the caterer of your choosing. Welcome to the BRICK experience.